Engine code - N47 (N47C16A). Removed from a 2012 Mini Countryman 1.6 diesel R60 (2010-2016) 5 door only 54,367 recorded miles. Model - Mini Countryman (5 door). Fuel type - Diesel. PART NO: 7823460 1353 7823460. DONOR CAR: 2011 MINI COUNTRYMAN COOPER SD. If we are not confident an item is fit for purpose we will not send it and be honest enough to inform you of that. However, we must be advised of any faulty goods upon receipt of the item. 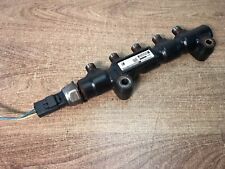 BMW MINI R55 R56 1.6 DIESEL FUEL INJECTOR PRESSURE ACCUMULATOR. FITS MINI R55 R56 ONE D / COOPER D 1.6D 6 SPEED MANUAL MODELS 2006 - 2010. REMOVED FROM A 2008 MINI COOPER 1.6D. GENUINE MINI PART. 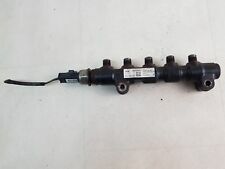 Part: 1.4 8v Automatic K-Series Single Point Injection Unit. 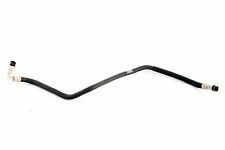 Mini CooperD 1.6 W16 Fuel Rail And Pipes 2006-2010. Condition is Used. Dispatched with Royal Mail 2nd Class. We do have a lot of parts for almost every BMW model. Feel free to ask for any other BMW car parts, we are always happy to help. Genuine used BMW part. VEHICLE COMPATIBILITY It is also possible to collect the item from our warehouse. Model: R55, R56 & R57. Colour: Black. A new window will open with the models and variants of each model. It is your responsibility to make sure when ordering this part is correct for your car and we are will to assist you with this. Injector Rail Cover. Hatch One (R50). 1598cc 88/66 16v. Electric Front Windows, Electric Wing Mirrors. Interior Trim Code. The table below contains further information. Internal Part Reference Number. 2014 Mini Countryman R60 1.6 Diesel N47C16A. High Pressure Petrol Fuel Rail 0445214237/7823460. Engine Code –N47C16A. We have for sale this High Pressure Petrol Fuel Rail from a 2014 Mini Countryman 1.6 Diesel R60. If you don't know how to do this, send us the last 7 digits of your VIN number and we will check for you. EXTRA 5% OFF WHEN YOU BUY 2 OR MORE. Fits: R50 One D 1.4 (Diesel - W17 Engine ). High Pressure Fuel Pump. Genuine MINI. If you do not ask and the part does not fit we will not accept responsibility for the error. N.B. People may have different opinions when judging the condition of used parts. Fits: R55 R56 (Diesel - W16 Engine ). High Pressure Fuel Pump. Genuine MINI. If you do not ask and the part does not fit we will not accept responsibility for the error. N.B. People may have different opinions when judging the condition of used parts. 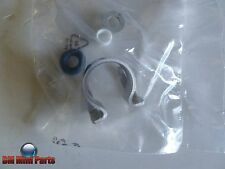 Part number 7575646 / 752817680. FROM MINI COOPER R55. Key Features. We are gladly at your service for any further queries. Goods will only be dispatched upon cleared funds. (Except Malta, Cyprus, Canary Islands). Part Number: 1495834. Model: BMW Mini One/Cooper/S (R52 Cabriolet // R53 Hatchback). Part: Fuel Tank Breather Pipe. S Mini Spares. Removed from a 2005 ( Mini 2001 To 2008 range) MINI Mini Cooper S 1.6 Petrol Manual 3 Door Hatchback, Engine Code W11B16. MINI Mini High Pressure Fuel Injection Pump. Mini 2001 To 2008. Gaskets & oil seals are not covered. Pictured below is the vehicle these parts were removed from. Part numbers are provided to help identify the part and its compability. We love to hear that you are satisfied with our service and parts.